How do I homeschool? It’s one of the first questions we ask once we’ve decided to homeschool our children. Once we decided to homeschool, I began reading everything I could find on home education. And every book had THE WAY to homeschool. I chose a philosophy with a method that promised a rigorous education—one that was proven to be successful. But why was I drawn to a rigorous education for my five-year-old son? Like most moms, I wanted the best for my kids including an education to prepare them for whatever God had planned for them. From the beginning I assumed that meant getting into college someday (though I now know that isn’t always the case). And maybe, too, I wanted to make sure I was successful at this homeschooling thing. So I followed the authors’ plan. Apparently my son hadn’t read the book, though. It wasn’t too long before I realized he was already beginning to view school as something he had to do. Though he enjoyed a few subjects, deep down I knew this plan wasn’t working. I wanted him to love learning, but that was quickly slipping away. And I wanted to enjoy my son, but I found myself becoming increasingly impatient and irritable when he didn’t progress “quickly enough” (whatever that was supposed to be). This way of homeschooling just wasn’t right for my son or for me. Yes, I was foolish when I started. But not because I chose this particular philosophy to follow. I was foolish because I began with all these books on how to homeschool before I started with THE Book. It isn’t that we didn’t pray about our decision to homeschool. It isn’t that we didn’t know Scripture that supported it. Our faith had played a big part in our decision to homeschool. It wasn’t the why, but the how that I didn’t go to God’s Word about in the beginning. Does Scripture speak directly to the particular educational philosophy or method we are to use? Maybe not. However, like other things in life, there are principles throughout the Bible that can guide our decision. 1. Teaching should be a natural, daily part of life. Learning happens all the time. The most powerful lessons connect to real life. Of course contextually this is how God instructed the Israelites to pass His laws down to their children for the generations to come. Obviously, they didn’t have the Bible to study on their own at this point. But I believe there is a timeless principle here that is just as applicable to us today. The Israelites were to pass their faith along to their children as they went about their life, as a part of their daily routine. It is true for passing down our faith. I believe it is also true for developing the whole child—heart, mind, and soul. I’ve heard some homeschooling moms say, “Sometimes I don’t want to be mom and teacher, I just want to be mom.” I do understand the frustration these moms are expressing, and I get it. But the truth is if you are a mom, whether you homeschool or not, you are also a teacher. That is just a part of being a mom. 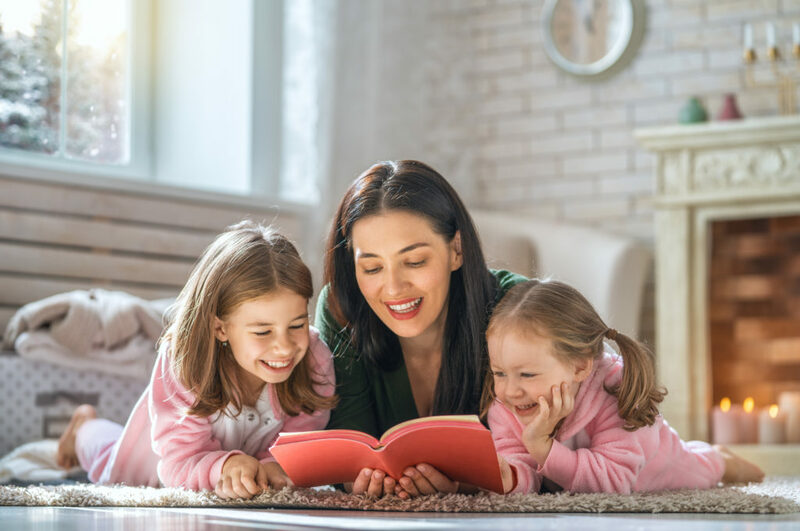 Whether we choose to teach all of their academic subjects in our homes or delegate some to others, we are all responsible for the education of our children. We will always be mom and teacher because we are the ones who are there when they sit and when they walk, when they lie down and when they rise. The key to homeschooling is to be intentional with that time. 2. When we teach we must consider how God uniquely designed each child. We each have a distinct mixture of personality, gifts, abilities, talents, interests, flaws and faults. We each have different learning styles. Each of us excels in some ways and struggles in others. We are each and every one of us a unique creation of God. I love studying Proverbs—a book all about wisdom—because I need it! Wisdom is simply the ability to live life skillfully in a winsome manner, in a way that draws others to Christ. Proverbs are principles, not promises; following them keeps us from having to learn the hard way. So what does Proverbs have to say about teaching our children? Since our children are each unique, then there is no one right way to educate them—no matter how convincing the authors of homeschooling books may seem 😉. Learn how you can begin to create the calm, deeply connected life you crave as a homeschooling mom! 3. Our teaching methods should not frustrate and anger our children. Notice I didn’t say our children will never be frustrated or angry. Yes, the sin nature is present. You will need to pray for discernment. There are times when learning is hard and our children have to persist to get something, to develop grit. And there are times when we have to be mindful of laziness (theirs and ours). But we have to consider that there are times when how we are teaching could be the problem. We want teaching methods to encourage learning, not feelings of frustration and anger. These negative emotions do not produce a conducive environment for learning. And when we consistently provoke our children over time, we risk destroying our relationship with them. I love the word nurture that is used in this definition. Nurturing implies intentional care and encouragement as we raise them to become mature adults. I believe it connotes a gentleness in how we do it. When we discipline our children we train and educate them. Once again we see the idea that we are our children’s primary teachers. Commands, admonitions, reproof, and punishment are all a part of that process—in the context of a nurturing, loving relationship. Just as the Father does with each of us. I’ve often heard the root of discipline is disciple (and it is true. I finally actually looked it up!) Disciple simply means learner. Jesus’s disciples followed him in order to learn from him. If we look at how he taught them, we have insight in how we can teach our children. He walked and talked, trained and sent out, and loved them well. If as a whole your educational methods cause frustration and anger, rethink how you are teaching. 4. Teaching should have its foundation in the Word of God. The word training used in this verse is the same one translated discipline in Ephesians 6:4—that whole training and education of our children. God tells us to bring our children up in the discipline and instruction of the Lord, and He provides one particular resource to do just that—the Bible. This does not mean that every lesson and subject you study in school has to include a Bible verse. However, this verse has some major implications for your homeschool. Consider the different ways you can incorporate God’s word into your homeschool. As a lens—or worldview—through which to evaluate the world and its philosophies. As an excellent textbook. It teaches us how to live wisely and is the perfect “character” curriculum. It has beautifully written literature including poetry, and is the greatest story ever told. As a resource for copywork, dictation, and memory work. As the foundation of history studies. But most importantly, the Bible is a book about God. It teaches us about who He is and who we are in light of that. The Bible tells the story of God’s creation and man’s fall, revealing His plan to redeem and restore the world—and each of us individually. It gives hope and meaning to life. We can learn a lot from the different authors who have shared their homeschooling methods with us. Before you choose the methods you will use in your homeschool though, consult The Book. Does this method facilitate learning as a natural part of our everyday life? Will it encourage discussion? Can we stay connected relationally while using it? Will this method encourage my children according to their particular bent, or will it hinder them? Will it help them on their unique journeys to become who God designed them to be? Is it adaptable? Does my child respond with anger and frustration to this particular method? Is my child beginning to avoid certain subjects? Does this method respect the Bible as the basis of truth? Is it based on and does it promote a Christian worldview? If it doesn’t, how will I bring the Christian worldview into our studies using it? 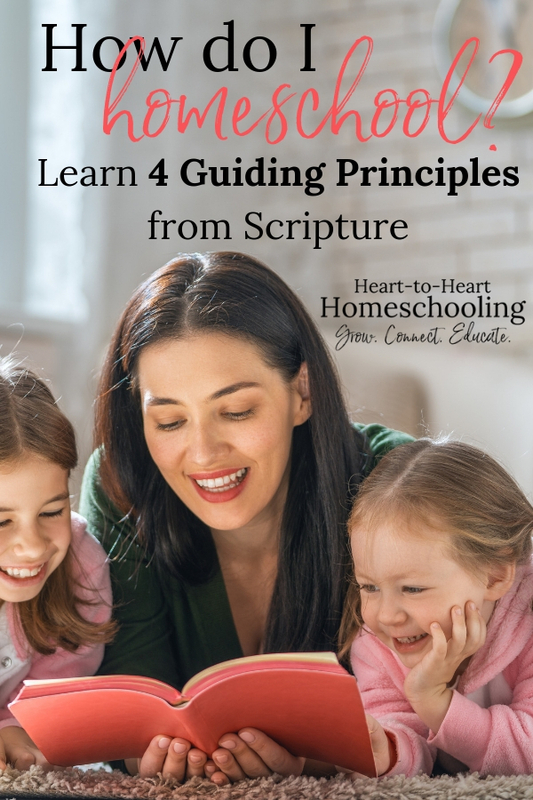 Whatever methods you choose, remember that God has provided us with guidance through Scripture when it comes to the how of homeschooling as well as the why. As Christians, we have the wisdom of God’s Word to guide us in all matters of life and godliness. I love the way that you’ve put Scripture into every consideration about how we teach! That five-year-old son mentioned in the post is now 20! It is true that it goes by so fast. Enjoy your little guy, spend lots of time snuggled up on the couch reading books, and love every minute of it! I hope you enjoy your homeschool journey! Great encouragement for any homeschool mom. Such wise words- to look to God first. This is such truth! God will guide us in teaching our children whether we homeschool or not. It is one of our responsibilities as parents to teach our children and guide them in the way they should go. I really love the scripture references on how to teach our children well!